Jaguar Land Rover is the latest manufacturer to launch a car leasing subscription service, with Carpe offering customers all-inclusive and hassle-free access to brand new Jaguar and Land Rover vehicles. The subscription packages are available via Leasing.com and are aimed at busy, high-mileage UK residents who spend many hours on the road. They can sign up to Carpe from today and subscribe to driving a brand new Jaguar or Land Rover for 12 months with no deposit. All-inclusive motoring packages start at around from £650 per month for a Jaguar E-Pace through to £1,000 per month for a Range Rover Evoque or Velar. Insurance is included in the monthly cost with drivers covered by a fully comprehensive policy. Routine servicing and maintenance is included in the subscription cost, which is done at Jaguar and Land Rover approved centres. 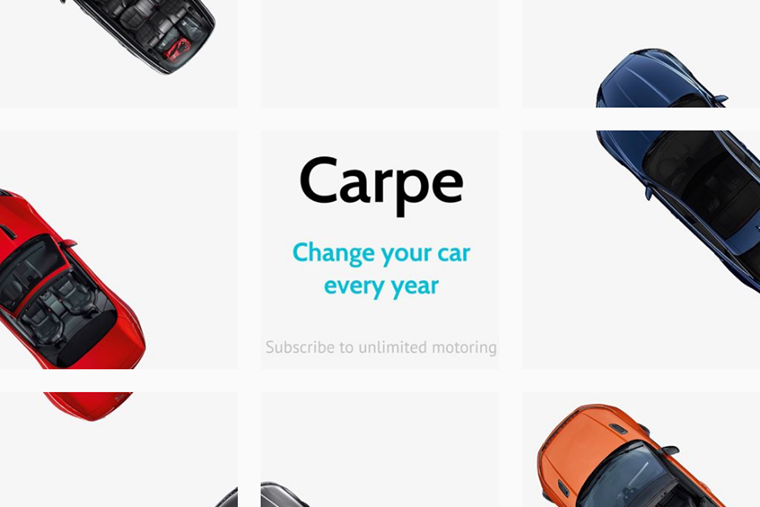 Carpe allows subscribers to get a new car every year and the vehicle specifications can be tailored to meet individual needs. Sebastian Peck, managing director, InMotion Ventures, said: “We know there is appetite for unlimited motoring packages and demand is growing rapidly for subscription services that better meet individual needs.